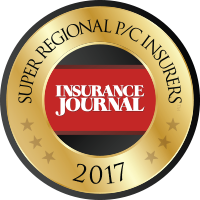 Enter your zip code below or use the drop down menus to narrow your search to find one of our trusted independent insurance agency partners. In your search results, you may see a special icon next to an agency name. That icon means a particular agency has earned Pinnacle Agent status with us, which means they are the best of the best. A Pinnacle Agency is one of our elite agencies that has demonstrated a commitment of unparalleled service to their clients, our policyholders.